Lamb refers to a sheep still in the first year of its life, and the meat is common to many cultures. It carries a distinctive, juicy quality that is versatile enough to dazzle in refined, delicate dishes in addition to holding its own in classic comfort food. This collection of lamb recipes includes Dominic Chapman’s Shepherd’s pie recipe which makes the perfect winter supper, while Nigel Haworth’s Lancashire hotpot, a winning dish from BBC’s Great British Menu, is a sumptuous take on the regional lamb stew. Similarly comforting, Francesco Mazzei’s Lamb ragù recipe is full of wonderful flavours including mint and spicy ‘nduja. 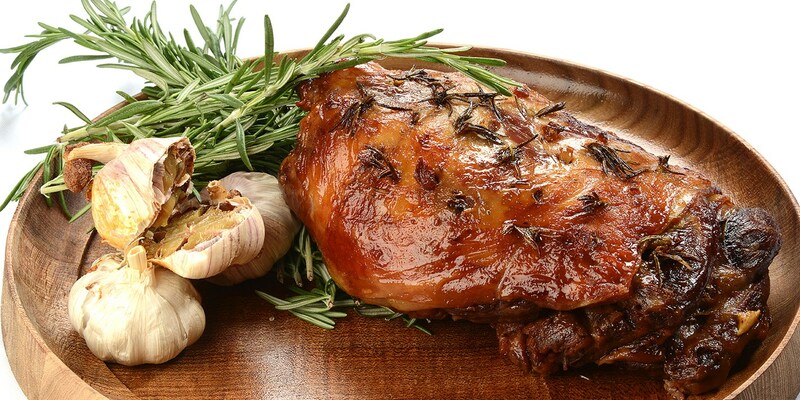 Many cuisines have embraced lamb and therefore your options with the meat are plentiful. You could use shoulder meat in Geoffrey Smeddle’s Moroccan-style Lamb tagine recipe, lamb breast in James Ramsden's Rolled breast of lamb recipe, or why not try Anna Hansen’s Lamb shank recipe, served with Persian lime pesto and polenta. Indian chef Vineet Bhatia coats his meat in a mixture of fragrant spices in his Rack of lamb recipe, while Andrew MacKenzie full incorporates a mixture of spices and herbs in his Lamb kofta recipe.